From Victoria BC’s Driftwood Brewing comes the “Belle Royale (Sour Cherry Wild Ale)” a limited release brew part of the Birds Of Pray Series. This beer has been aged in American oak Barrels for 18 months with wild yeast. The beer pours a light rose red colour with a red head. The aroma consists of sour cherries, brett and an overall tarness. The flavour is of tartness, sour cherries, funk, brett, wood notes and an overall sweetness. The alcohol content of the brew is 8%. This is an amazing sour beer and one of the best being brewed in British Columbia. 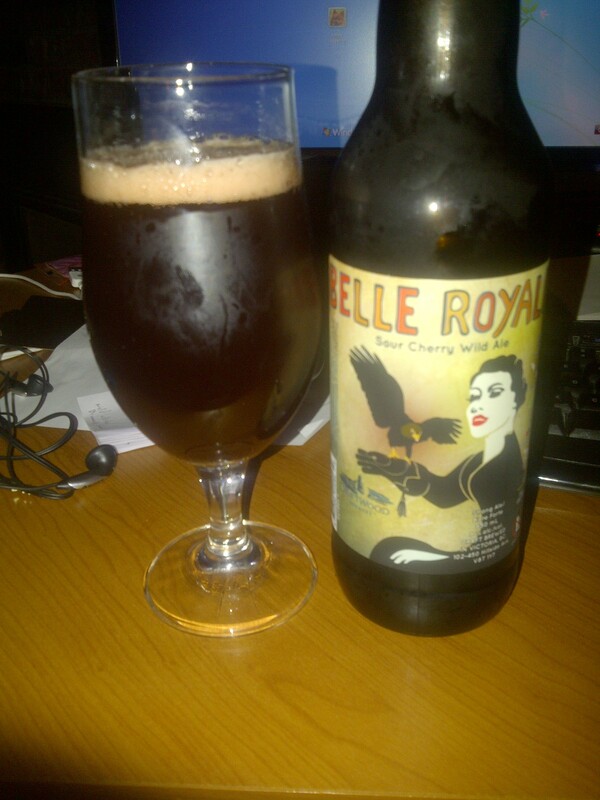 Commercial Description: Crafted with local Island malt and Morello sour cherries followed by over 18 months of maturing in select American oak barrels conditioned with wild yeasts has evolved Belle Royale into a very complex, yet classic, taste experience! We have done all the ageing for you, so enjoy it now! 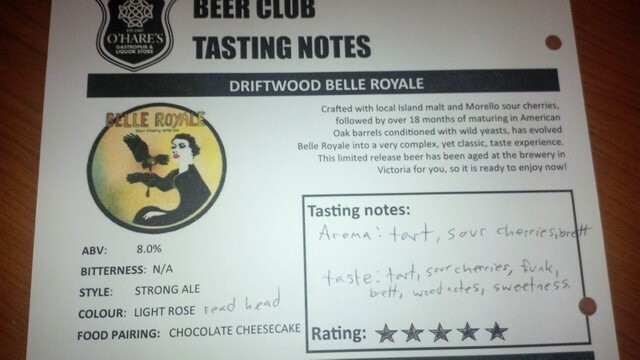 This entry was posted in Imperial, Sour Ale and tagged bc, beer, beer club, brett, brettanomyces, canada, imperial, oak, oaky, sour ale, sour cherries, sour cherry, sweet, sweetness, tart, tartness, victoria, wood, woody.